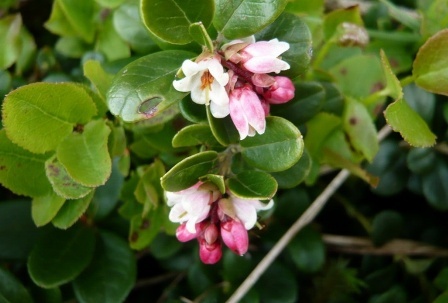 Other names: Cowberry, foxberry, lowbush cranbaerry, mountain cranberry, partridgeberry, redberry. 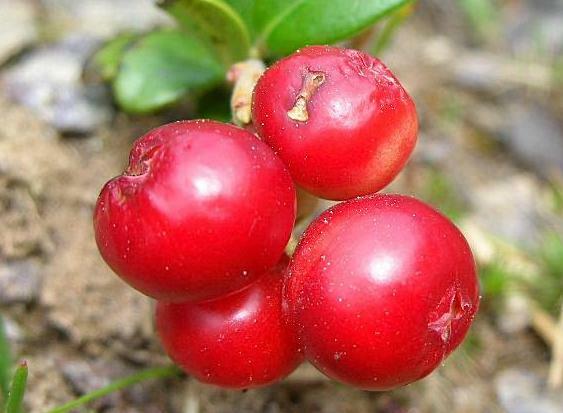 Lingonberry is one of those fruits which are still not under commercial cultivation in spite of the fact their wide use. The fruits are collected from the wild growing bushes and traded for use. Lingonberry is a fruit of significant commercial importance. It is considered to be a native of North America and is a common fruit species found in the Northern forests. 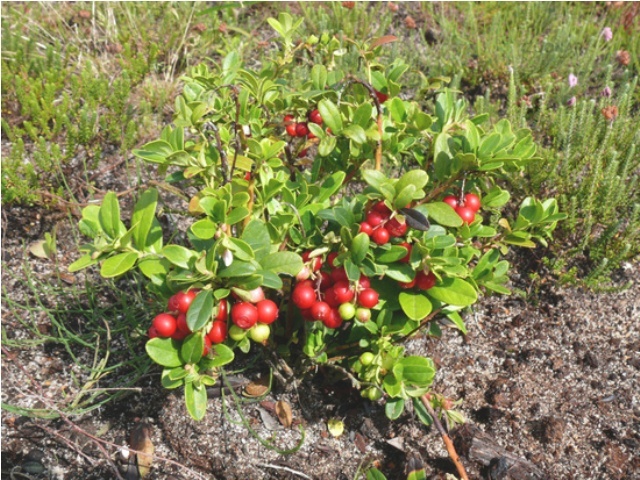 Lingonberry is widely used not only in North America but in Northern Europe too. A short (less than 7 inches, or 18 cm, tall) and have single blooms. The leaves are ovate, 0.4 to 1 inch (1 to 2.5 cm) long, alternate, leathery, and evergreen. They have a dark green upper surface and a light green under-surface. Flowers are borne singly or in clusters in terminal racemes. Flowers have four locules per ovary, four sepals, a bell-shaped corolla and eight stamens with nonspurred anthers. Pollen is borne in tetrads shed through a terminal pore in the anther. The ovary is inferior. Fruit a globose berry, carmine in color when ripe, up to 1 cm in diameter, 170 to 450 mg in weight, strong flavoured and tart. 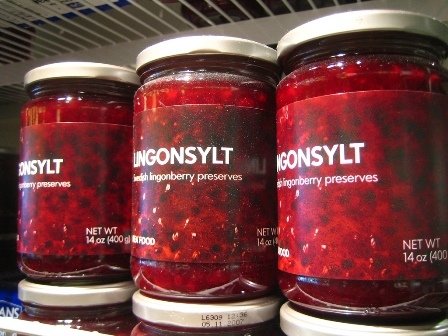 Lingonberries are used fresh or frozen, incorporated into sauces, syrups, jellies, fillings, as well as drinks. Lingonberries have a one of a kind taste, that puts them in a class by themselves, and will complement any meal. The fruits are considered to be nutritious and full of anti oxidants.